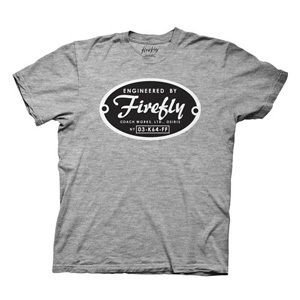 If you've always dreamed of piloting a Firefly-class transport ship, you can get one step closer with this Firefly Engineered By Firefly Gray T-Shirt! This great tee shows the builder plaque seen on the bridge of Serenity in the TV show, Firefly. 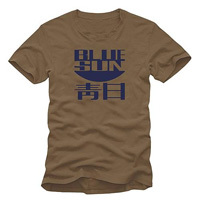 It's a great tee for Firefly and Serenity fans!